A simple VR game to navigate a maze. 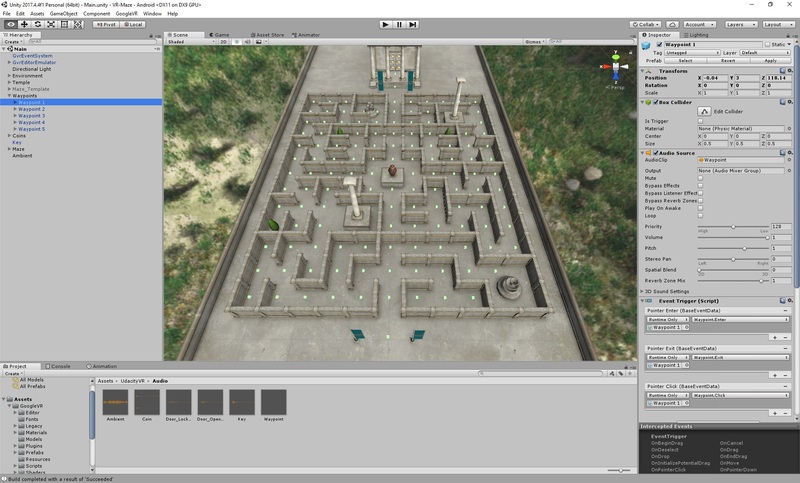 The player must search the maze for coins and a key. The player must find the key in order to open the door at the end of the maze. Once the player has exited the maze and opened the door, they win! 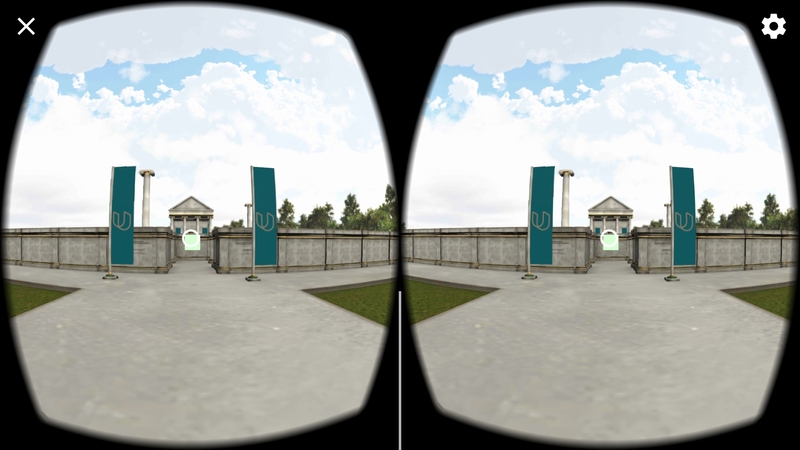 This project was completed as part of the Udacity VR Developer Nanodegree, the VR Software Development course, for the final project, A Maze. The project rubric included integrating the GVR SDK, creating interactive Coin, Key, and Door objects, adding gameplay functionality, and optimizing the result to run on a smart phone.